Audrey is a cook who loves finding new recipes but tweaking them to a healthier alternative. 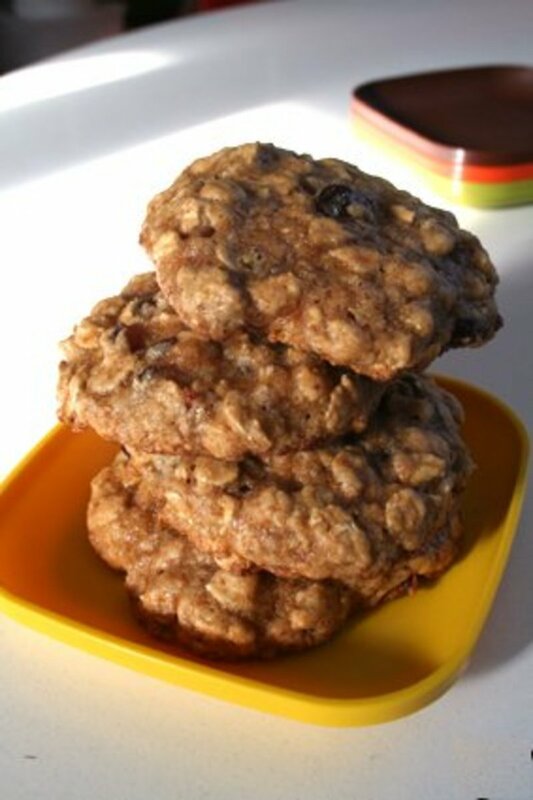 I think these are the best light recipe I've discovered for oatmeal cookies! 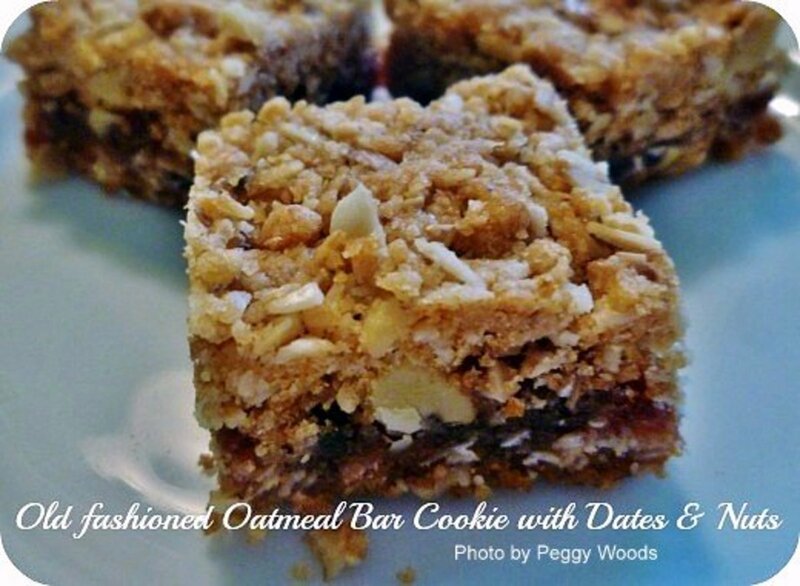 I found this recipe in a wonderful cookbook I have used for many recipes and tweaked recipes from. The Best Light Recipe is definitely my favorite for truly light and delicious recipes. I checked it out at the library and loved the recipes so much that I bought it. I use it all the time. 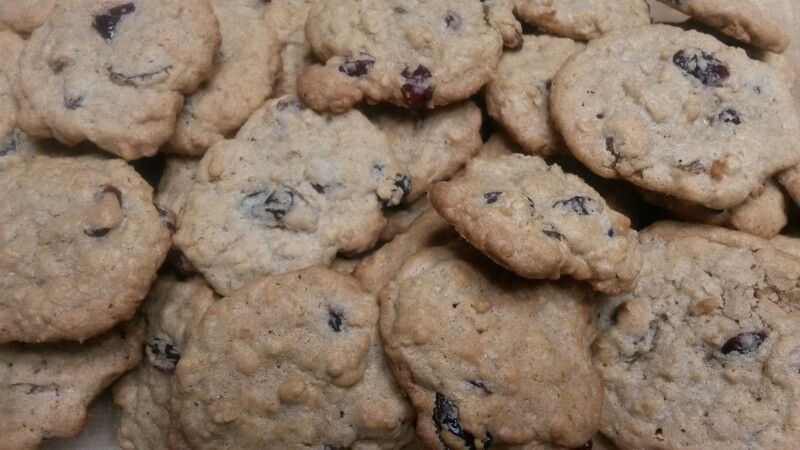 I changed this recipe up a bit most of the time, as I prefer using dried cranberries instead of raisins. I love the flavor of oatmeal and cranberry mixed. 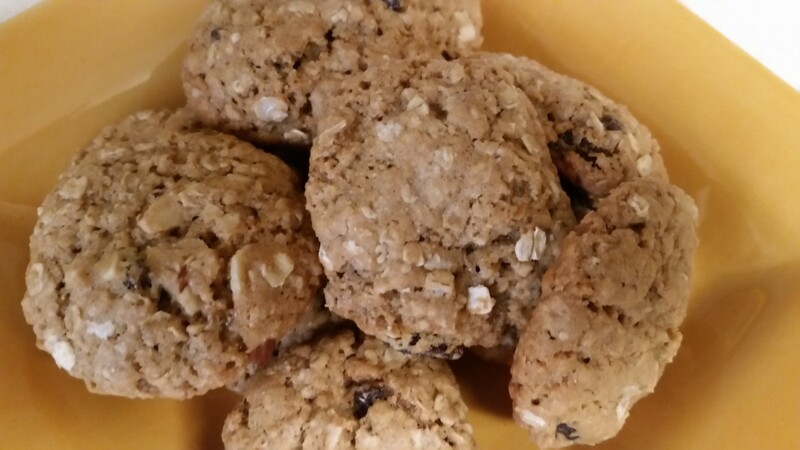 Depending on what I have on hand, I throw in some slivered almonds but you can also substitute throw in walnuts for half of the cranberries or raisins for an even greater flavor mix and extra crunch. 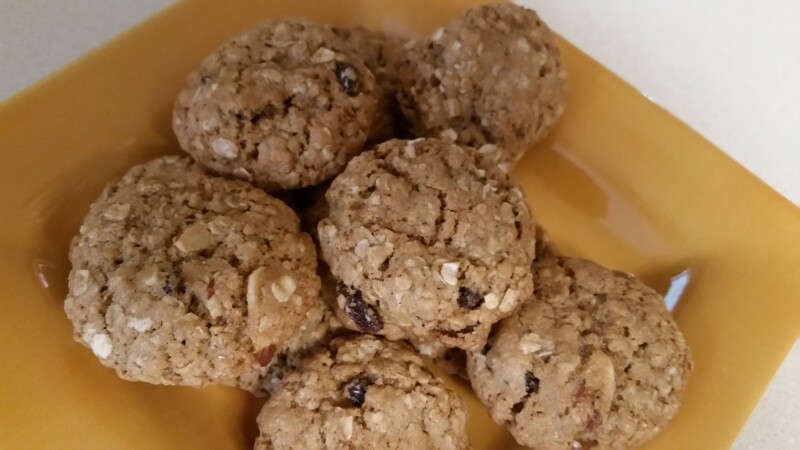 These are great freezer cookies and are still chewy when thawed out. Of particular note, in order for the cookies to bake properly, it is important to cook 1 tray at a time. It is equally important to turn or rotate the tray halfway through the cooking time for even baking. 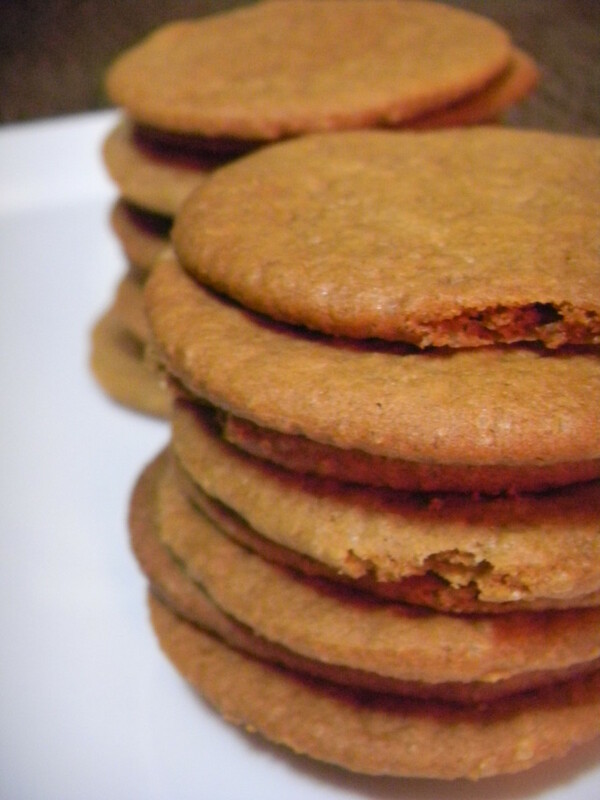 Lastly, be sure and let the cookies sit (if you can) on the tray for 5 minutes before sliding off with a spatula. Adjust oven rack to middle position and heat oven to 350 degrees. Whisk oats, flour, cinnamon, baking soda and salt together in a medium bowl and set aside. In large bowl, whisk butter, egg and vanilla together. Add brown sugar to butter mixture. 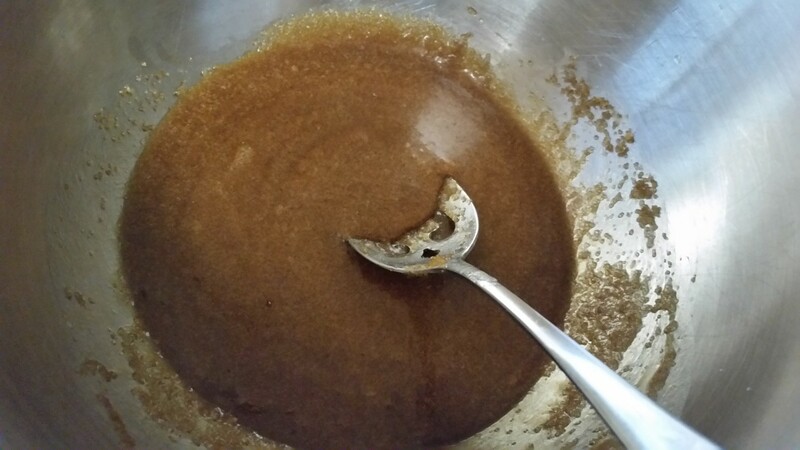 Stir until smooth, smearing any remaining clumps of sugar against the side of the bowl with a rubber spatula and breaking up any sugar lumps until you have a smooth, syrupy consistency. 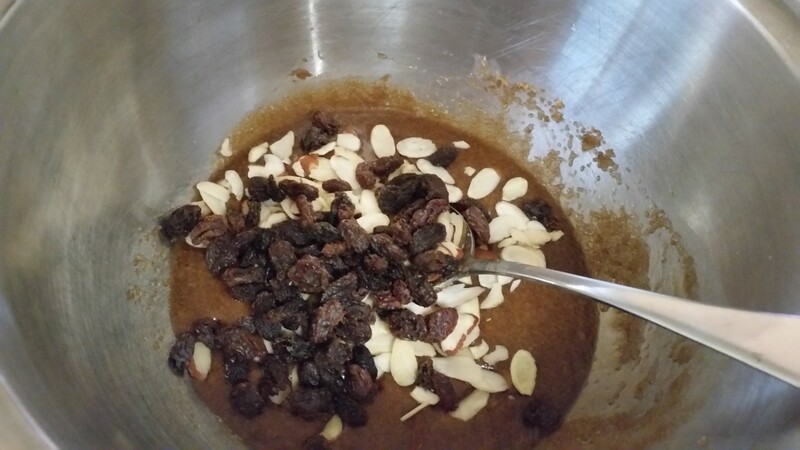 Stir in fruit and nuts. 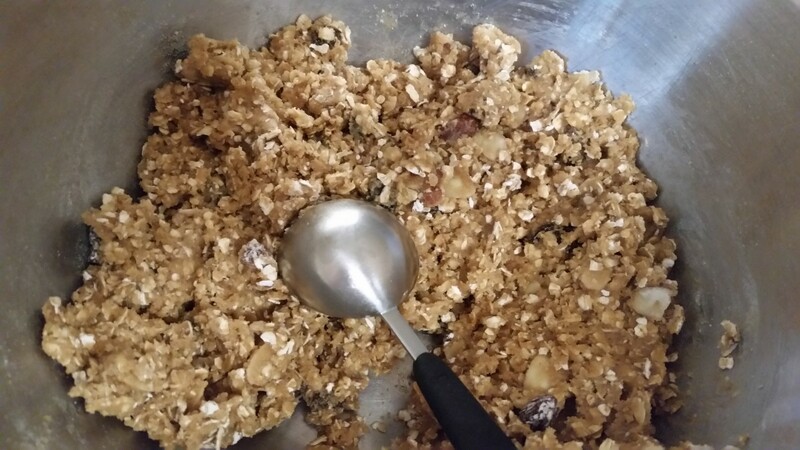 Then add oat mixture. Stir until thoroughly combined. The dough will be a nice firm dough and no dry ingredients should show through. 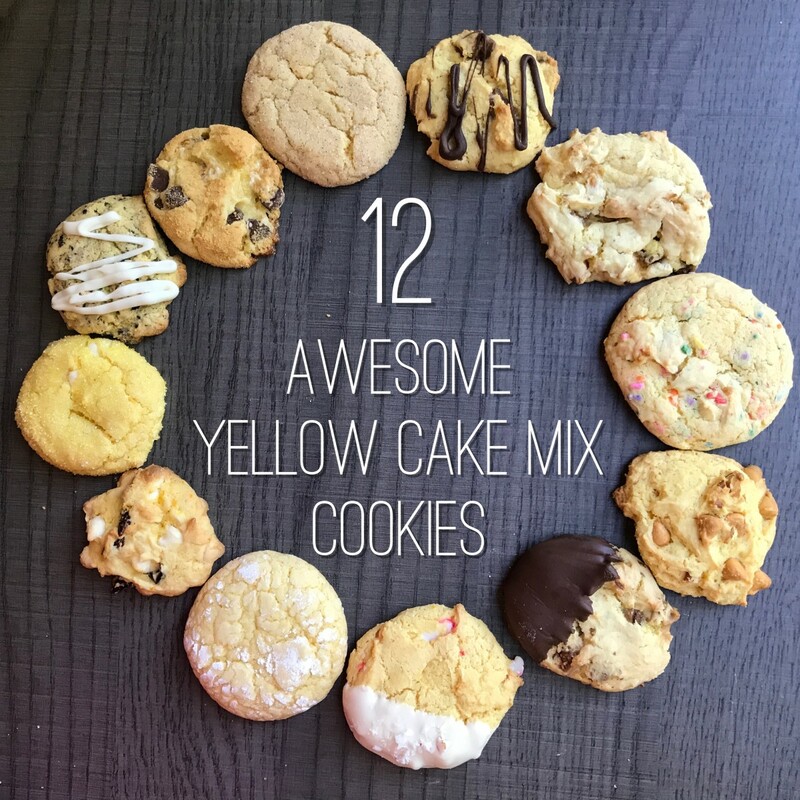 Use a measuring tablespoon to scoop up mixture for each cookie. Roll each tablespoon of dough into a 1-inch smooth ball. Place on cookie sheet about 2-1/2 inches apart. You should be able to do 12 cookies per cookie sheet. If the dough becomes too sticky, you can refrigerate for a few minutes until firm again and continue making the balls. Bake the cookies, 1 tray at a time until the edges are light golden and the centers are just set. (11-13 minutes). Rotate the tray halfway through baking - turn completely around in the oven and continue baking. 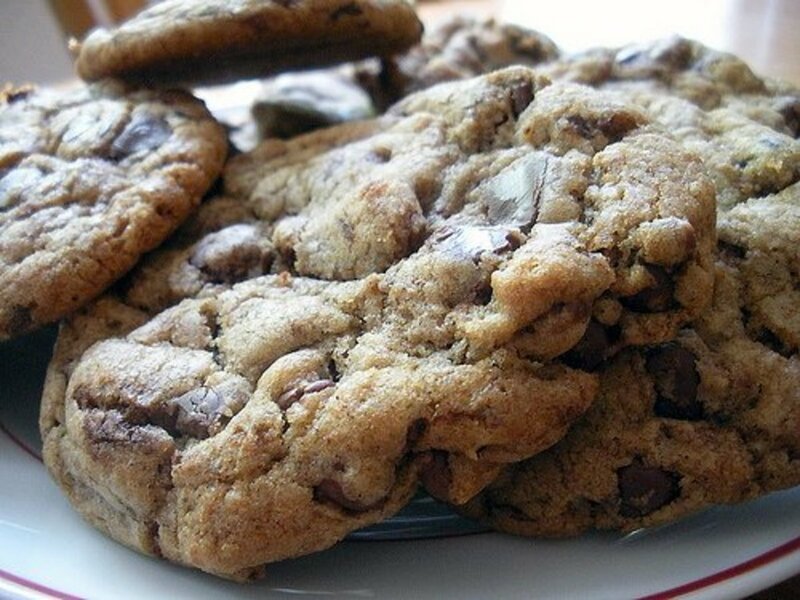 Do not overbake as just the right amount of baking keeps the cookies soft and chewy. 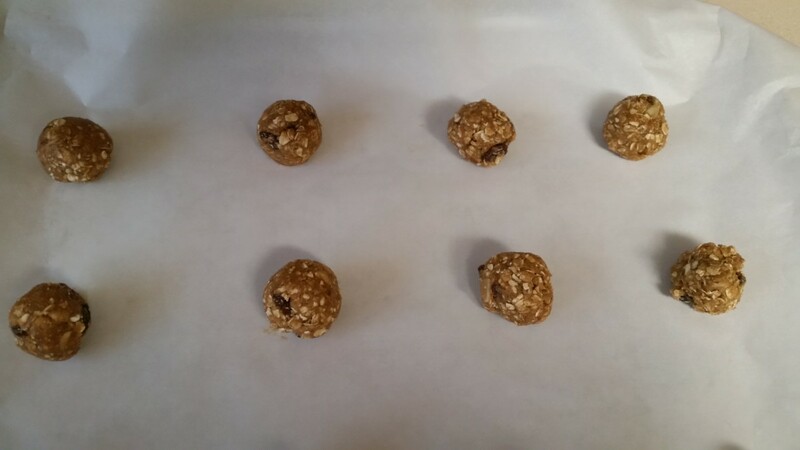 Cook cookies on baking sheets for 5 minutes. Serve warm or transfer to a wire rack to continue cooling completely. Bake the 2nd sheet of cookies while the 1st cools. Store in an airtight container or a ziplock bag. Don't forget to freeze a batch for later use! Light cream cheese makes a cookie that is thin and crispy and sometimes will give an artificial aftertaste. Parchment paper can be found in the grocery section with aluminum foil and reduces calories - you do not have to use grease or sprays of any kind - it is virtually nonstick. These cookies are excellent to freeze. I like to always have a batch (or 2) on hand! 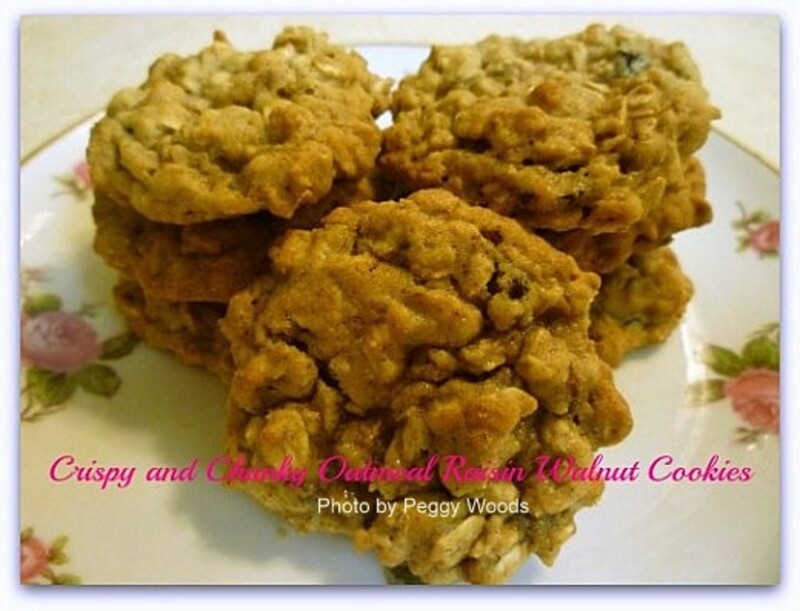 Try the other cookie recipes in this book - chocolate chip and peanut butter. Your hub is very good at describing in a very easy way the preparation of your recipes. Too hilarious! 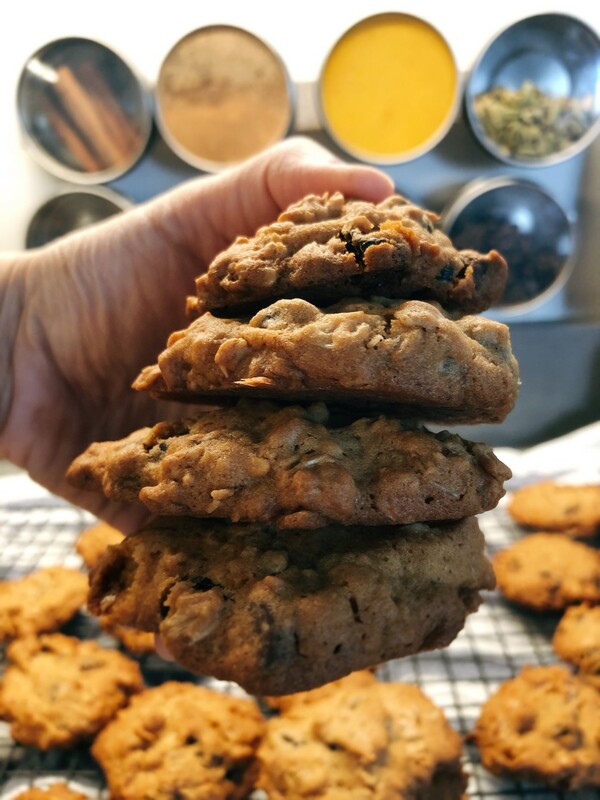 We just had friends in for a few days and I had these in the freezer along with the peanut butter ones, along with the chocolate chip ones....and some banana oatmeal ones for good measure....from all these batches, I think we have about 10 cookies left. Shows what WE were doing! I put a few out on a plate and then walk away; a day later, somehow they have all disappeared so I put more out on the plate and THEY disappear. I think it is Griffin to tell the truth although his passion is truly bread! He casually walked past Bob last night in the living room carrying the entire package of English muffins in his mouth. He was on his way to paradise with them but alas, we are not quite as dumb as we look (or act) most days! Thanks for commenting, Holle. Girlfriend, I could eat that whole plate of cookies right now!